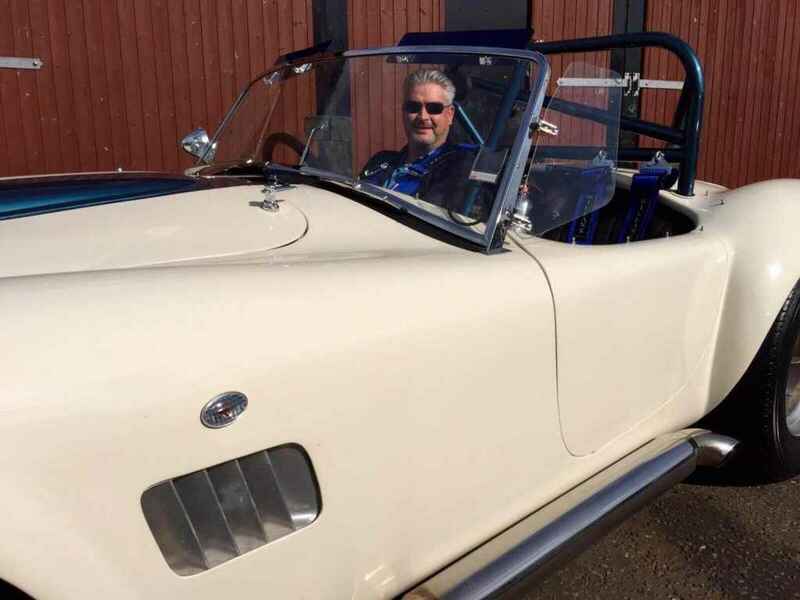 We are always happy to welcome to new customers to Redline and it was a pleasure to be contacted by an avid cobra fan who had been following us on Twitter and was so impressed with our work he got in touch about some work he wanted doing on his Dax Cobra. 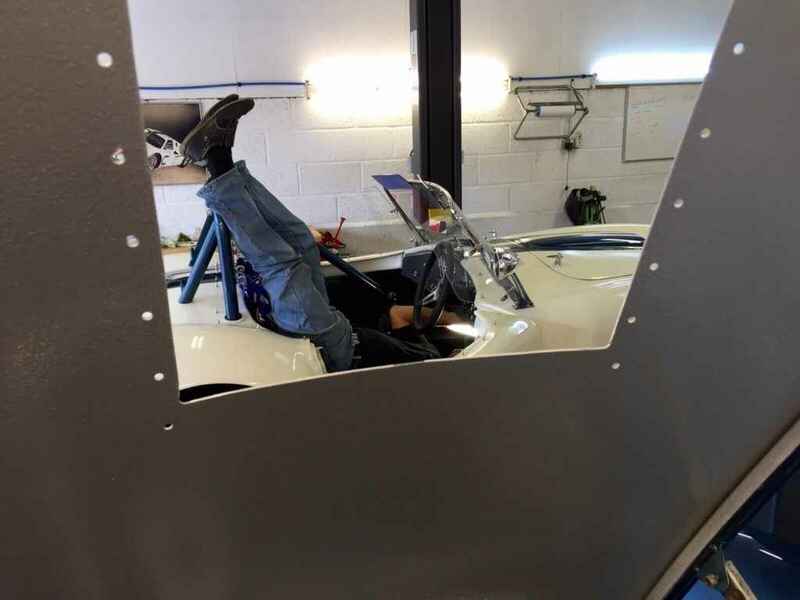 Experts in original AC Cobra and AC cars he wanted our authentic touch and we were happy to apply that to his prized Dax Cobra. 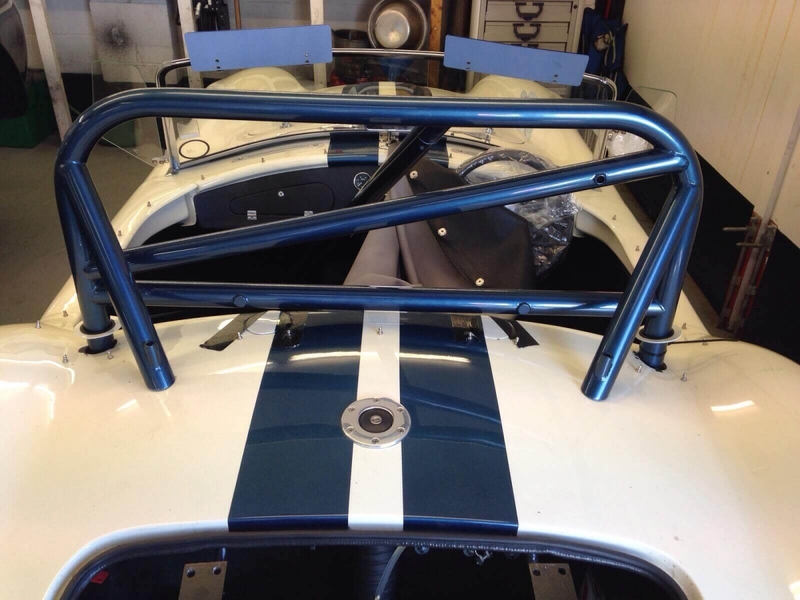 Key to his brief was to get the standard Dax replica Cobra in top condition to take part in track days. The starting point was a mechanical fine tune to sort out a series of inherited problems which are common in home built kit cars. We gave the suspension and steering an overhaul, improved the fuel system and made fixes to the clutch, speedo and gearbox. Then came the required works to adapt the car for track days. 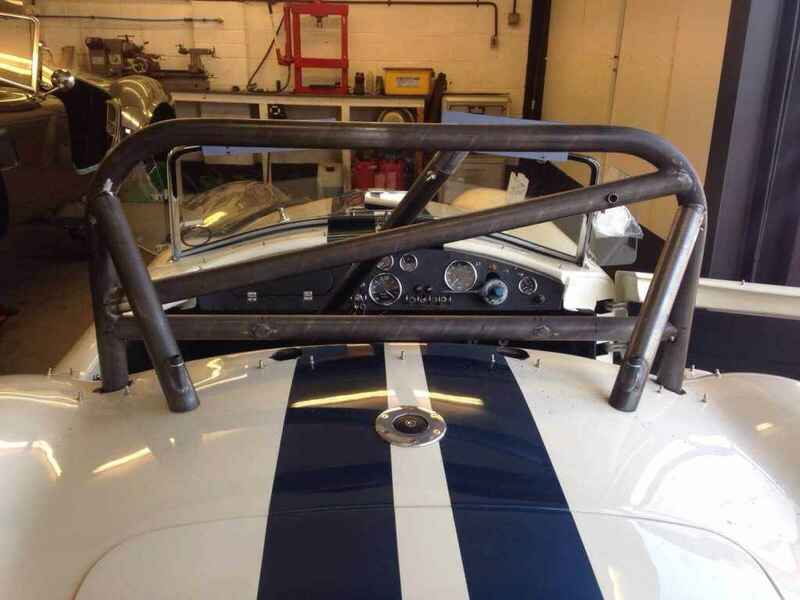 We hand-produced a bespoke roll bar with a four point harness for both driver and passenger, and finally fitted brand new tyres that would be suitable for track days but still road legal for the cars everyday use. 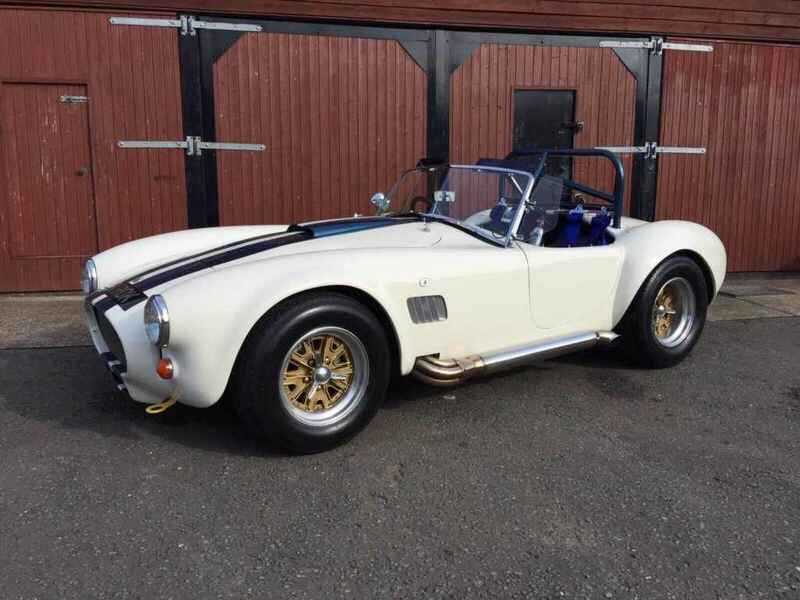 The Cobra left the Redline workshop ready for track days with a very happy owner behind the wheel.